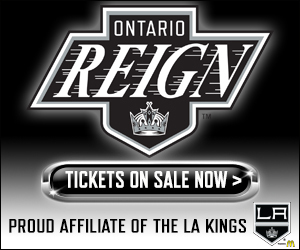 The Ontario Reign ended their week on a positive note, with a 4-2 victory over Tucson on Sunday afternoon at Citizens Business Bank Arena. 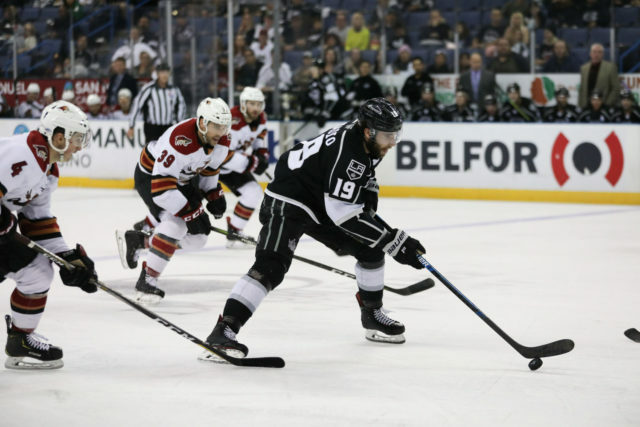 Ontario got goals from four different players, in addition to 42 saves between the pipes from goaltender Cal Petersen, as they aided the Colorado Eagles in the race for the Calder Cup Playoffs, while putting a dent in Tucson’s hopes. 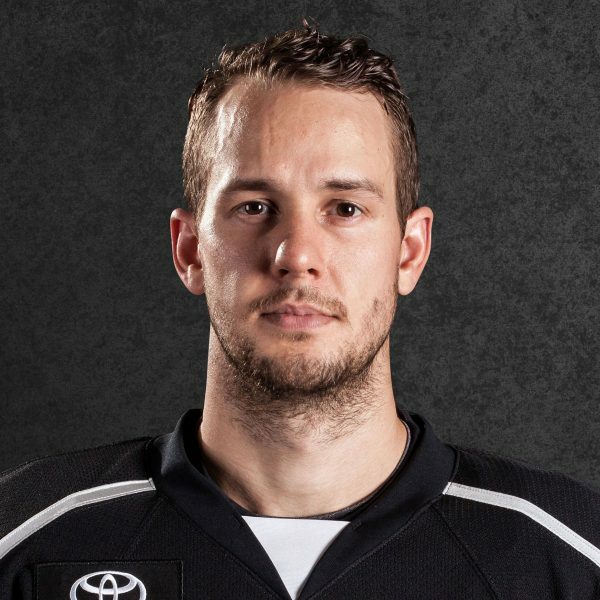 Forward Brett Sutter reached the 20-goal plateau for the first time as a professional, with a slick, game-winning goal midway through the third period. Forwards Zack Mitchell, Matt Moulson and Brad Morrison each scored in the game, with Morrison and Mitchell posting multi-point games. The two teams split the opening two frames, with a goal apiece for both sides in both the first and second periods. 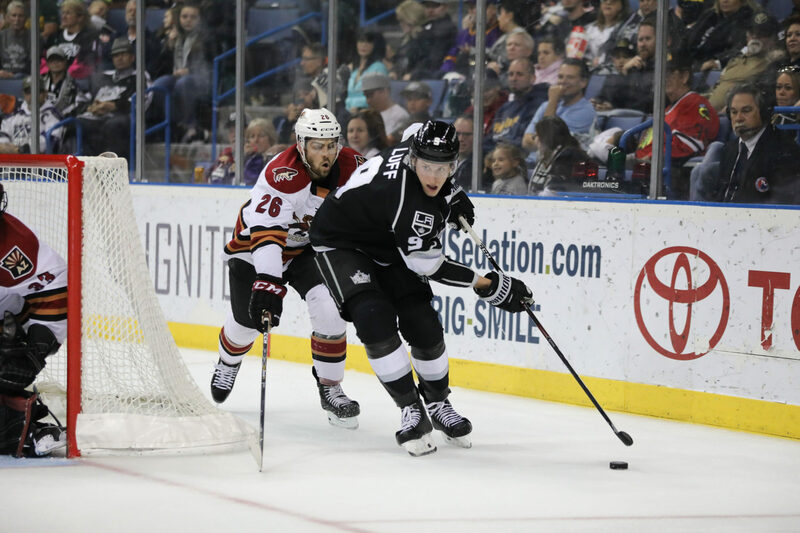 A behind-the-back dish from Matt Luff to Moulson, with the latter roofing his shot past Tucson netminder Adin Hill, opened the scoring, before Tucson forward Lane Pederson tied the game ten seconds later, with a tap-in goal that stemmed from a Reign giveaway. Mitchell regained the Ontario advantage midway through the second period, as he redirected home a cross-crease feed from forward Morrison. Tucson then tied the game at two with a power-play tally 13 seconds from the second-period buzzer, as a shot from Dakota Mermis from the center point eluded traffic and Petersen’s glove for the tying goal. 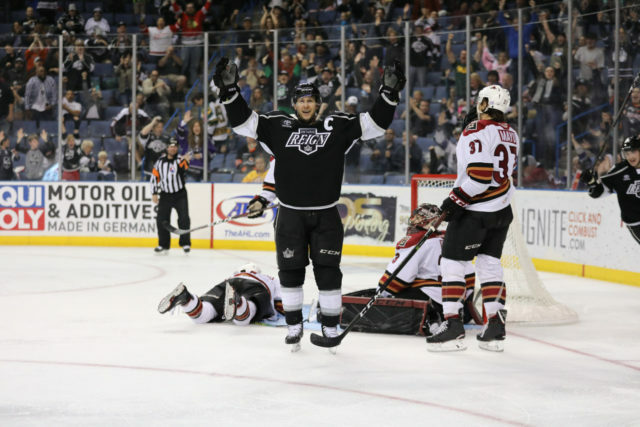 The Reign scored a pair of goals in quick succession to go from a tie game to a 4-2 Reign lead. First, Sutter took a Philippe Maillet feed, made a nice move and went fivehole on Hill for the goal. Just 20 seconds later, Mitchell and Morrison connected again, this with Morrison knocking home a loose puck from close range for his tenth tally of the season. Despite a Tucson push down the stretch, Petersen held strong in net, stopped all 19 shots he faced in the final frame. Ontario now enters the final week of the 2018-19 season with a three-game slate, beginning with a home-and-home against the Stockton Heat. The set begins on Wednesday evening in Stockton, followed by the final Ontario home game of the season on Friday evening at 7 PM. The message from Stutts and the coaching staff, and the atmosphere in the room, especially from the leaders, is finishing off the season with some pride. Using some momentum, building off of each individual finishing off the rest of the season strong and setting themselves up for a good start to next season. We’re also doing this for the older guys on the team, who might not be around next year, so we want to play hard for them and show that we can be better and that we want to be here. In this league, at this level, I think I had a good start there and as the year goes on, it gets tougher, with the playoff pushes for each team. There’s a lot of energy out there and guys are going hard every game. This is obviously a very high, professional league, you can go in droughts easily and you have to stay composed. To answer your question, I just put the puck in the net at the end, Mitchy made a nice play and made it easy on me to finish that off into a wide open net. For the first one, he put his stick on the ice and gave me a good target and I kind of just hit it and I think it went bar down, which is unfamiliar from there. Playing with a guy like that with a lot of experience, a guy that can help me stay focused and support me all over the ice, it was great. Having Stutts as a coach, defense is a big thing and I think that’s important for a guy like me, to be learning that side of the game. When I get past the blueline in the offensive zone, I think my instincts just kind of take over, but in my own end it’s dedication, working on it every day. Working on being in the right spot and I think that’s going to be huge for my development. You’re not always going to be scoring goals or getting on the scoresheet, it’s a tough league, but I think it’s made me a lot better, playing against better guys every game and practicing with such good players that have so much experience. I feel like I’ve been improving. I don’t know if we really look at it as trying to spoil anybody’s positioning or chances to get into the playoffs, we’re just trying to win games. I guess you can say it feels good to beat teams that are ahead of you, but everybody’s ahead of us, you know what I mean? We’re just trying to win. We wanted to have a good rebound game from Saturday night against San Diego and I thought we played much better, played more like the way we’re capable of. 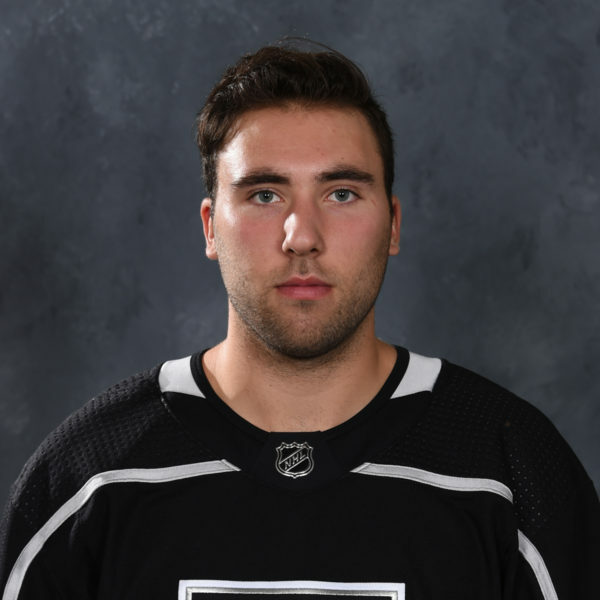 I’m not going to lie to you, even just the addition of Mike Amadio makes a huge difference in our lineup. We seem to have the puck more, more plays being made. 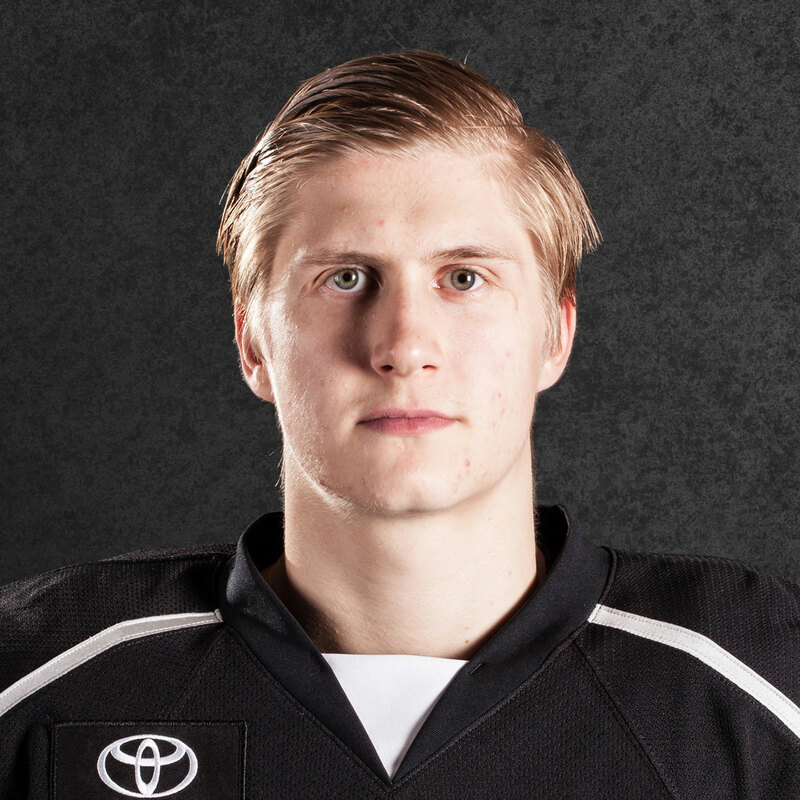 Him and Moulson and Luff, they’ve got some kind of uncanny chemistry that they seem to thrive off of each other, so that makes the rest of us better. 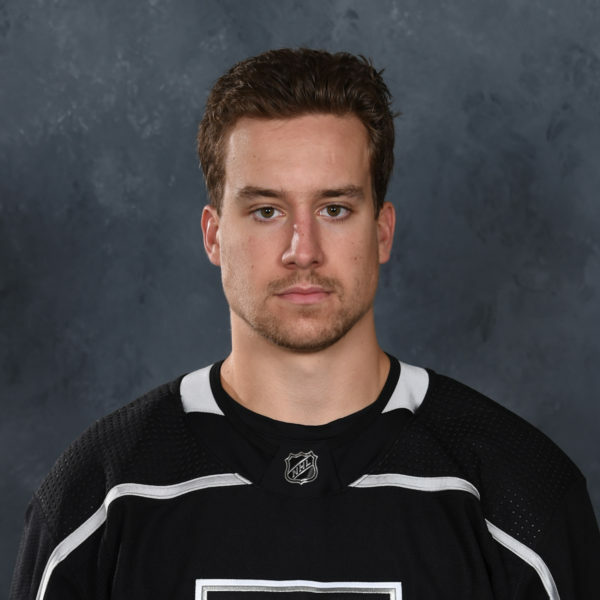 He had a good stretch there with the Kings, he was getting some points, but you’re asking the wrong guy, because I like Mike Amadio, I love Mike Amadio. So to me, I always see the plays that he makes and the amount of times that he has the puck and the amount of times he’s available for defensemen. I don’t know, maybe this time he did a better job of showcasing himself in the NHL but now he’s with us for the remainder of the season and I’m going to enjoy the fact that he makes us a little bit better every time we get on the ice. You should win your home games. I mean, in all fairness, it’s a road game for us, but at least it’s a shorter roadtrip, but it’s a feel-good building. Our fans have been great all year long, they’ve been great since we’ve moved out here. It’s a great building. When you have the visiting team come in and compliment your building and your facility and your fans and everything else, then you know you’ve really got something. They’ve been terrific for us all season long and it’s very much appreciated. They were there to help us celebrate Brett Sutter get his 20th goal. I was a very happy man to see Brett finally get that 20th, it’s been a couple of games, he’s been pressing. Everybody’s been working hard trying to set him up, so it’s nice to see that geritol, old fellow finally get the back of the net.